Homeless 8-year-old Refugee Child Tanitoluwa Adewumi Becomes New York Chess Champion! An eight-year-old Nigerian refugee was crowned as chess champion in a statewide competition held in New York. Tanitoluwa Adewumi, who lives in a Manhattan homeless shelter with his family said that he learned to play chess just one year ago and wants to be "the youngest grandmaster". Tani grabbed the title in a competition which also had children coming from elite schools and those with private tutors who coached them for the competition. The boy will now compete at a country-wide level competition that will be held in May where if he wins, Tani could become a national champion. Tani along with his parents and older brother came to New York in 2017. They had fled Nigeria due to the fear of terror groups like Boko Haram; it was a pastor who helped them to find a homeless shelter. Tani then began attending the local elementary school which has a part-time chess teacher who taught Tani the game. New York Times reported that after winning the game, the eight-year-old said that he has two dreams. The first is to go on to become the world's "youngest grandmaster" and the second is for his family to be allowed to stay in the United States. 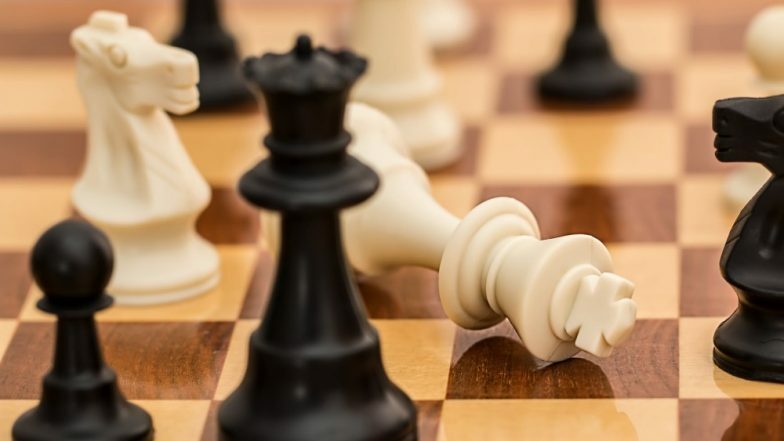 Chess Set for Comeback at 2022 Asian Games in Hangzhou. Tanitoluwa Adewumi, an 8-year-old Nigerian whose family reportedly fled Nigeria because of Boko Haram crisis, is fast becoming a Chess star in the US. Tani has become quite a champ at the game and has already grabbed seven trophies. His mom, Oluwatoyin Adewumi was at the event where Tani won the match. Tani parents said that he has tough times too. Once he was bullied at school for being homeless and another time burst into crying when he misunderstood the judge thinking his family would be deported. How Hero Refugee Chased Gunman Away from New Zealand Mosque. His family's asylum request's next hearing scheduled for August. Tani said, "I feel American." The report quoted his school chess teacher, Shawn Martinez as saying, "He is so driven. He does 10 times more chess puzzles than the average kid. He just wants to be better."